Quantity Per Pack 1000 Pcs. POF shrink bags are used across multiple industries for for protecting and bundling products for retail sales. Excellent for wrapping books, games, DVDs, consumable products, and a variety of other products. POF shrink bags offer excellent clarity and are an affordable packaging option for multiple products. Visit our shrink wrap reference library to learn more about POF shrink wrap and identify which sizes will work best for your specific application. 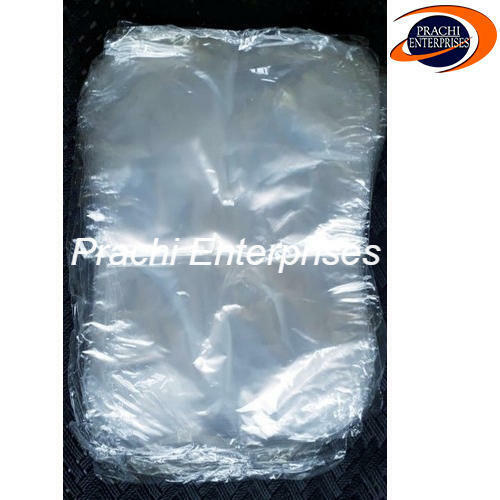 “Prachi Enterprises” is the leading Manufacturer, Trader of Cling Wrap Roll, Shrink Pouch And Bag, Butter Paper Envelopes and much more. We are a well-known and reliable company that is incorporated in the year 2005 at Delhi (India) and developed a well functional and spacious infrastructural unit where we manufacture these products in an efficient manner. Apart from this, we also impart highly reliable Packaging Services to our clients. We are a Sole Proprietorship firm that is managed under the supervision of our mentor “Mr. Praveen Kumar”, and have gained huge clientele across the nation.